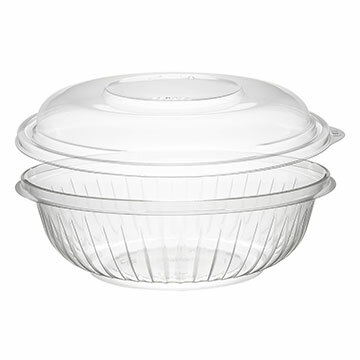 Microwave Safe Plastic Containers are ideal for restaurants, convenience stores and grocery stores. These containers are made from a material that stays cool to the touch even when they are taken out of the microwave. Also, the textured surface provides a more secure grip which prevents slipping and dropping. Plastic containers and lids are a perfect solution for sealing in freshness and for maintaining temperature of recently prepared food.